Rocky is an absolutely fab Staffy boy who is 8 yrs old, but still has lots of energy, loves to play and loves his walks! 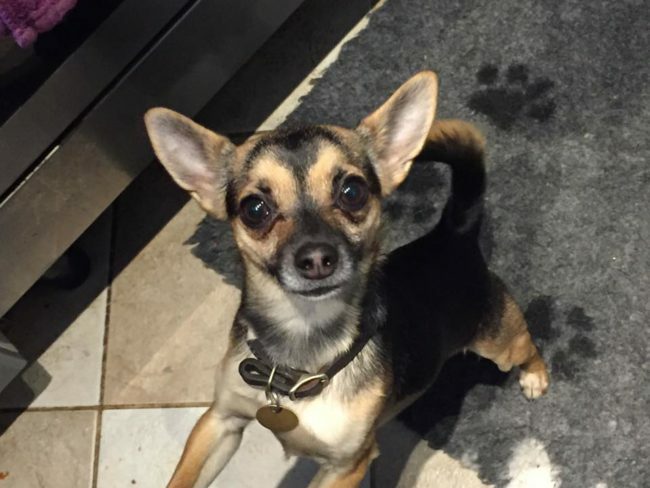 Rocky is currently living in a foster home with children aged 5+ who he is great with. He is very well behaved around the house – fully housetrained, sleeps downstairs overnight, doesn’t chew (apart from his toys!). He loves playing with his ball, and loves playing football! He walks nicely on the lead and isn’t bothered by other dogs out and about. He could potentially live with a friendly female dog in his new home. He isn’t bothered by the rabbits he lives with in his foster home (they are secure in a hutch and not loose!). 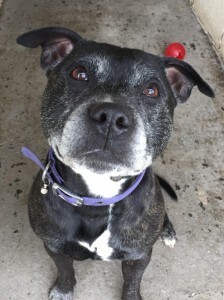 Rocky is just a brilliant family dog, and will make a perfect addition to a Staffy loving family!